MYSTICAL SHEEP #1 - Yu-Gi-Oh! 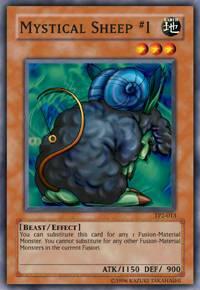 You can substitute this card for any 1 Fusion-Material Monster. You cannot substitute for any other Fusion-Material Monsters in the current Fusion.